"I met Jessica Zais when looking to have some engagement photos taken in 2009. I had been following her blog for a few months and loved how she brought out genuine smiles from her clients. Her style is timeless, and I love how she used light and colour in her shots. After speaking with her over the phone, I knew that she was perfect. Since then, not only has Jessica captured our engagement, but also our wedding and 5 years of family shoots as our family has grown. I’m so happy to have met her through her incredible talent. Her smiley bubbly personality makes everyone who gets in front of her camera feel immediately at ease. I treasure all of the photos she has taken, and look forward to booking her for years to come." "Mike and I are in love with the shots from the wedding day and the day after shoot!!! Your ability to capture true emotion on film is astonishing, and I feel like I am re-living the day every time I go through the film! You are so wonderful to work with and I really look forward to many many more shoots to come. Thank you so much for your hard work and dedication to your art." We absolutely loved working with Jessica for our engagement and wedding photos!! She is such a talented photographer and was professional in all of our interactions. Jessica put us at ease and made us laugh throughout our wedding day - all while providing helpful instruction - which resulted in an amazing collection of pictures that completely captured the happiness and excitement of our day. 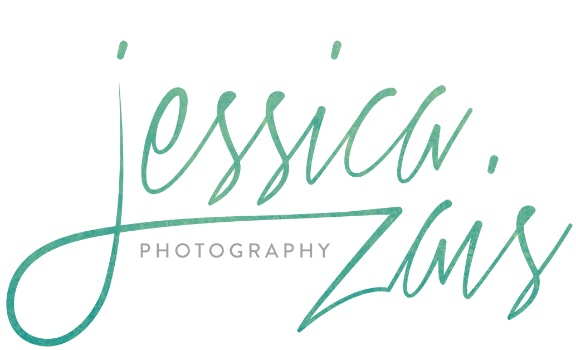 We cannot recommend Jessica enough - she's an amazing photographer and a lovely person! Having Jess as our photographer was a truly wonderful experience. We don’t live in Kelowna so we had to interview her by Skype, but right away we could tell she was very personable and friendly, and would provide us with the experience we wanted for our big day. We bonded right away after our engagement photo session with Jess and she made it a lot more fun than we thought it would be. On the actual wedding day, it felt like we had another friend at our wedding instead of just a stranger we hired to take our photos. We received our wedding photos in a very timely manner after the wedding and were very happy with the quality and artistic touch that went into her photography. We would definitely recommend her for any couple looking for a wedding photographer (or any other types of photo shoots). She’s excellent at balancing the professional side of photography while also providing a very personal experience. Jessica's work is exceptional! Not only is she professional but she's also down to earth and really fun to work with. We will cherish our wedding photos forever. I'd highly recommend her! "I cannot tell you how excited we were to get to work with Jessica. She was an absolute dream to work with. She is personable, creative, enthusiastic. We loved working with her and will definitely be going back to her for any family photos that we will want in the coming years!" "Jessica, it was an honour and super fun to be photographed by you. You are a perfect peach and a gem to work with. It is impossible not to fall in love with you. You're The BOMB!! Thanks again for the amazing photos." We got married May 2016 in Kelowna and are very happy that we chose Jessica to be our photographer. Her bubbly yet laid back demeanour immediately put us at ease and the photos from both our engagement shoot and wedding turned out beautifully. She was also very accommodating of our schedule and our desire to spend as much time with our guests as possible, all without compromising the number or quality of photos. She was so easy to work with, incredibly responsive to our emails and got the finished photos to us almost before we were back from our honeymoon! “I just wanted to say that Kevin and I are thrilled with the photos. We love them so much! You were awesome to work with. Everyone was super impressed by the photos, your eye for detail, and how you worked the crowd. After Garrett and I got engaged, and the planning began, my first thought wasn't the dress or the venue, it was the photos. Perhaps I'm not the typical bride, but the most important part of the wedding to me, is the captured memories. Even though our wedding package we booked in Costa Rica included a photographer, I talked my (now) husband into bringing Jessica with us instead. Who knows what kind of photos you'd get from someone in a foreign country! She was definitely the best money we spent on our entire wedding! Jessica just seems to have an innate quality about her. She knows how to bring out the best in people -no matter how grouchy, irritated, hot or un-photogenic they may be. When she's around, you can't help but smile. Her upbeat and giggly demeanour made everyone feel at ease, not an easy task since it was 38 C the afternoon of our wedding! The response we have got from our photos has been overwhelming! I can't tell you how many of our guests commented on how wonderful and professional she was. Many of them have said they plan on using her for their next events. My husband, (like a lot of guys) wasn't nearly as enthusiastic as I was, about getting our pictures taken. I think he thought of it as a necessary evil... but I can honestly say, that even he had a good time while we were being photographed! I think that if you have a destination wedding, you owe it to yourself to have a great photographer. You will not often go back to the same location, and every time you look at your photos, you will re-live the feeling of your wedding day. I would absolutely recommend Jessica for any wedding, whether at an exotic location, or in your own back yard. Simply put, Jessica completed the best day of our lives! I cannot say enough positive things about working with Jessica. She is super friendly, and honestly a bit of a dork which I LOVE (she's totally relatable). She was very professional and helpful leading up to, during, and after the wedding. She always got back to us promptly with any questions we had, and even had our pictures online before we'd come back from our honeymoon. Having great photographs was really important to us, and we could not be happier. All the pictures she sent us were beautiful; what you see on her blog is what you get. Jess, if you're reading this - THANK YOU!